Making a list, checking it twice (or more) and having it with you are the first steps that you need to do. This is a good way of not having the “uh-oh” moment when you reach the airport. Forgetting something important like your phone charger, socks or any other items that you can’t live without may cause stress. So, write everything down – everything that you need to pack and do. Do this about a week before you have to leave and then check the list a few days after for double – or even triple – checking. One of the most stressful thing about traveling is the need to bring too many things, thus you usually end up with heavy suitcases. Packing lightly has always been recommended, and you should really take your time and decide what you need to pack and what might be an extra item in your luggage. It would be perfect if you can actually pack everything you need on a handy carry-on. If that is not possible, pack your stuff on suitcase that is of manageable size. Packing light is thus very important for stress-free travel. It can be a bit difficult to rest before going on a vacation. The excitement can be too much for sleep. And some people actually think that the long car ride or flight would be perfect for taking some rest. The best that you may get are a few winks, but sleep? Probably not. So, rest well before you travel. Enough sleep will give you a clear head, which will help you deal with any unpredictable travel issues. Taking enough rest is thus very important for stress-free travel. One common cause of travel stress is the feeling that you are running out of time. This usually happens when you do not give yourself enough time to get ready. Make allowances for the traffic and the airport security check. Arrive at the airport early. No matter how excited you must be, make sure that you eat and drink during the flight and the entire time you are travelling. If airline food is not to your liking, then bring some of your own snacks. Just stay full and hydrated. Take it a bit slow. When you arrive at your destination, breathe. You have arrived and you have plenty of time to do everything you have planned to do. You will get the time to see the places you want to see and enjoy the attractions that you want to enjoy. Traveling is about having the best experience away from home. It is not all about visiting ten or more attractions in one location. Yes, you have made a long list of things to do in your travel destination but you should still have options to be flexible. Say for example, you wanted to visit an attraction at 5.00pm but that has already become improbable due to certain reasons, try to take that easy and think about best possible alternative. If you do your research well when making the list, most of the time, you should be able to do everything as per your plan. But making the schedules and plans with one or a couple of alternatives make your travel stress-free. 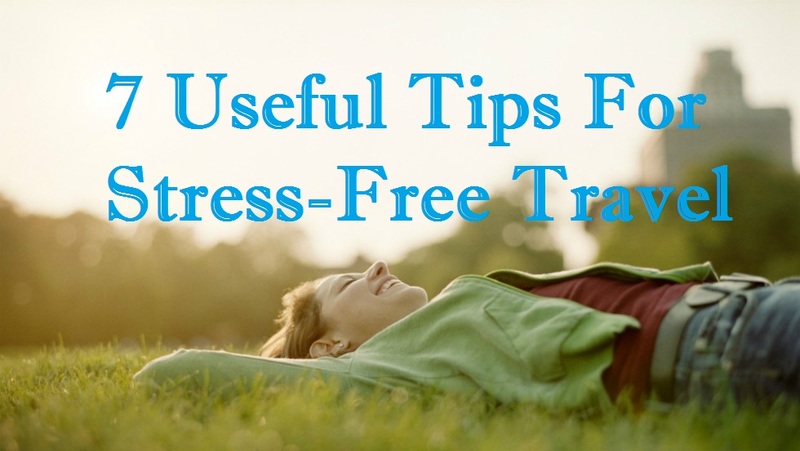 These are some really very useful tips for stress-free travel. Just use these and enjoy your travels in your own ways. 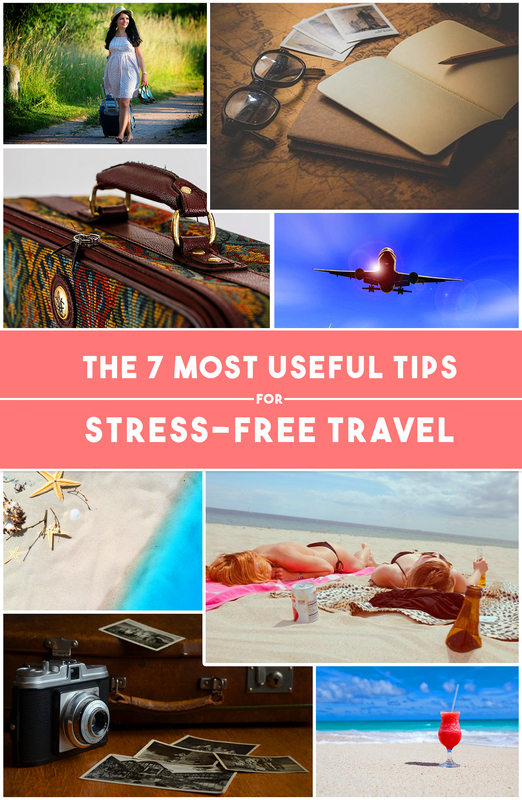 6 Comments on "7 Useful Tips For Stress-Free Travel"
Very great and useful tips. We are looking forward to read more on your blog. ? A wildlife safari to one of your prefered destinations would be afantastic option! Heading, Do Not Rust Yourself, should perhaps be RUSH? I wish I would have read this before I went on a trip to Europe last year! I didn’t have a list, packed too heavily, was late to the airport, always rushed my sister to the next destination, and was always hungry from trying to save money. I’ll keep this in mind for my next trip to Japan this July! It’s all common sense. But it’s a great reminder. Thank you!